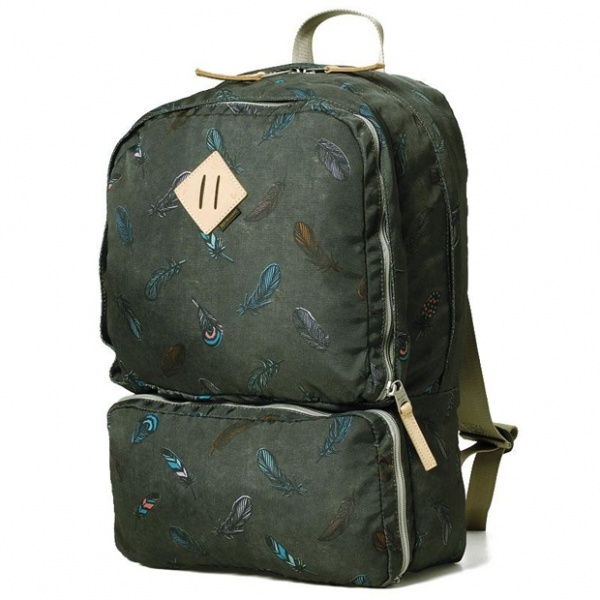 Created via his ‘Paul Smith Jeans’ offshoot, Paul Smith has just released this great vintage-inspired featherprint day pack. Featuring an olive canvas shell, the bag is accented with tan leather pulls and a ‘Japanese style’ printed feather pattern that really brings the piece together. Available at End Clothing.